Many readers will already be aware of the devastating floods that have affected areas of eastern Australia. 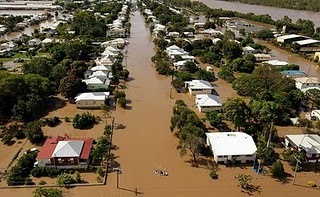 Queensland and northern New South Wales have been the worst hit, however in the past few days flooding has also occurred in parts of western Victoria, eastern South Australia and Tasmania. The Brisbane central business district has been substantially without power, and effectively closed down, since last Tuesday 11 January 2011. This has included the Brisbane Post Office, which acts as a receiving office for filings with IP Australia (i.e. relating to patents, trade marks and registered designs). With the reopening of the Post Office on Monday, 17 January 2011, IP Australia announced the resumption of filing service in Brisbane. In doing so, it has taken the opportunity to remind its customers (e.g. applicants and agents) of the possibility of obtaining extensions of time to meet deadlines that may have been missed as a result of the floods. The Australian Patents Act 1990 includes fairly generous provisions for the grant of extensions of time to meet deadlines that were missed due to ‘circumstances beyond the control’ of the person responsible. Certainly the present floods fall into this category! Customers in the affected areas who have been unable to respond to time frames due to circumstances beyond their control can request an extension of time on this basis. In response to these requests, IP Australia can waive fees related to requests for extensions of time as well as fees associated with the supply of replacement documentation such as deeds and certificates where appropriate. IP Australia encourages affected customers to contact IP Australia, via the Customer Service Centre (Ph: 1300 651 010 or email: assist@ipaustralia.gov.au) as soon as you are aware a deadline has not been met, or that one is approaching. While IP Australia has a broad discretion in relation to Australian rights, we would remind applicants pursuing foreign patent rights, including applicants of international applications under the Patent Cooperation Treaty (PCT), that the patent offices of other countries may not be so generous. Laws and regulations relating to extensions of time and.or the restoration of lapsed rights, vary greatly between different countries, and Australia is certainly at the more lenient and compassionate end of the spectrum. Our advice would be that applicants should endeavour, as far as possible, to avoid missing any deadline that may affect foreign rights. Anybody wishing to assist in the flood relief efforts may donate to the Red Cross, the Queensland Government’s national flood relief appeal, or any of the numerous other charitable organisations that are coordinating collection and allocation of donated funds, which Google will assist in identifying!